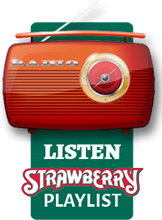 RV Sites for the Strawberry’s Spring Festival will go on sale at 9:00 am, on Wednesday, November 28th. You can reserve your full (power, water & sewer) or partial (power & sewer) hook-up by calling the office at (209) 984-8630. Hook-up sites will be sold first come, first some and only one site can be reserved per call. 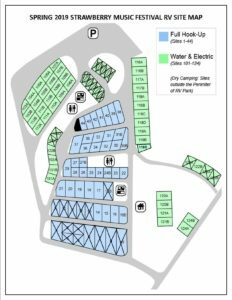 For more information including prices and how to reserve your site, please read our Spring 2019 RV Site Reservation Guidelines. We expect to receive a high volume of calls, in the morning, so if you experience a busy signal, please try again. Initially, we’ll just be taking your name and number, in order to keep the lines clear for the next caller. Then, we’ll be returning calls, in the same order they were received to process your reservation. We look forward to this day, and to talking to our valued customers over the phone, all year long! So, we’ll talk to you folks tomorrow. and then we’ll see you there, in just about 6 months.